1. Disinfectants need to sit on a surface for a certain amount of MINUTES and stay WET to be effective. Just check out the instructions on your favorite disinfectants- you’ll see they say to let it sit wet anywhere from 3 to 10 minutes… that’s a long time! I don’t know about you, but I’ve always sprayed them on a surface, then wiped them off right after. Turns out, this is useless for disinfection. 2. There is a difference between a cleaner and a disinfectant: a cleaner doesn’t disinfect, and a disinfectant doesn’t clean. So, if you think that you can spray disinfectant on a toilet seat to ‘clean’ it, think again. The germs and viruses may have been killed (or maybe not, as discussed above), but the grime that has built up is still there to potentially attract and harbor more pathogens (AKA sickness causing critters). 3. Disinfectants work because they are poisonous. The antimicrobial activity in these products is not just harmful for viruses, bacteria, and fungi, but they are also harmful for any other kind of organism. Obviously, most of us are fine when we come into contact with household disinfectants, but they are irritating to skin because of their activity, and they can cause cough or bronchospasms that are particularly harmful to those with airway diseases, such as asthma. The point here is that disinfectants are aren’t exactly good for our bodies, so they should be handled with caution. 4. There is a difference between disinfection that is required in a hospital and cleanliness that maintains the health of a home. Especially here in Italy, I see commercials implying that since a product is used in the hospital, it should also be used in the home. This is misleading because in a hospital setting, there are many people with weak immune systems that cannot fight off germs that most of us are exposed to, and unaffected by, every day. Disinfection is used to inhibit the spread of such pathogens to susceptible hosts, and thus is wonderful for protecting people in those kinds of settings. Your home, on the other hand, is relatively free of harmful pathogens. Even if someone has a nasty, contagious bug, like the flu, you can disinfect all the surfaces you want, but the best proven practice recommended by medical authorities to prevent the spread of contagious illnesses is to simply wash your hands with soap and water! Cleaning does not kill most pathogens, but it does wash them away from the target surface. Remember though, that pathogens don’t just leap from a surface and into your body to wreak havoc, they need a vehicle, like your germy hands that rub your eye 🙂 So again, hand washing is perhaps even more important for personal health than disinfecting or cleaning many surfaces in your home. And antibacterial soap has not been proven to be any more effective at preventing illness than the regular stuff either. …for those moments on the go where you don’t have immediate access to water and soap. 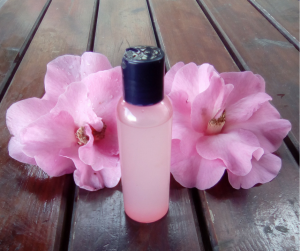 Believe it or not, commercial hand sanitizers are mostly made of an alcohol and water mixture that has been gelled, and I have made a simple, and just as effective recipe, without the use of added chemicals. Check out the DIY hand sanitizer recipe here. 3. What about that cutting board you use for meat that potentially harbors E. coli? Or that toilet bowl that has seen better days? There are plenty of resources out there for natural alternatives, and I promise to update this post soon with some of the most simple and effective recipes, but I’ll say this for now: regular hydrogen peroxide has proven to be an effective E. coli killer, and so has alcohol (both the strong drinking kind and rubbing alcohol). Citric acid in lemons, as well as vinegar, has also been proven to kill many other kinds of pathogens. 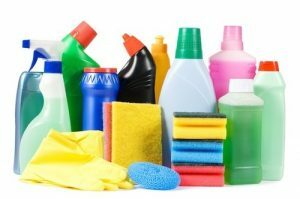 It’s hard to not question the efficacy of natural cleaners and disinfectants when there are such convincing commercials out there, but there is scientific research supporting that they work well and pose less side effects. Basic principles of washing things regularly, especially your hands, will keep you, your home, and your loved ones healthy. 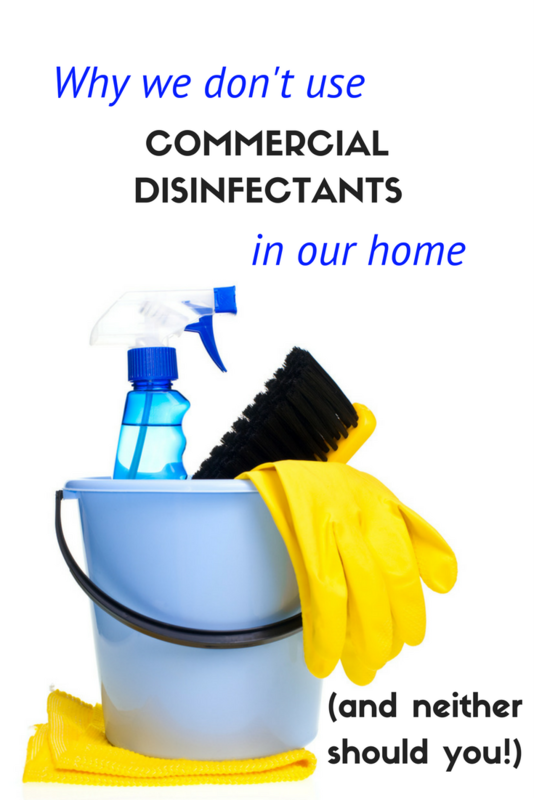 Disinfectants are appropriate in some settings, like hospitals, but for your home the situation is mostly different.